Apartment recycling can be a challenge for both landlords or property managers and tenants. A solution that makes it easy and simple for tenants to collect recyclable items in order to later empty into a collection bin or dumpster has proven elusive. However, there are options for apartment recycling. Multi-family recycling options have proven to make the entire process easy and increase tenant recycling. Find out how to simplify apartment recycling with an easy, affordable and effective option. 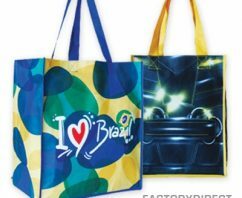 What Reusable Bag Material Is Right for Your Brand? 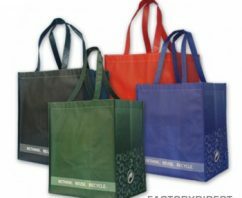 There are a multitude of material options you can choose from when customizing reusable bags. These materials are all eco-friendly and come standard with a handful of unique qualities. When customizing your bags, it’s critical to identify the right material for your brand, marketing initiative, and the demographic you will be targeting. Usually, these three avenues intersect and the correct material becomes apparent. In an effort to answer the question of which reusable bag material is right for your brand, we will explore three unique groups of people that are common reusable bag users and have something to gain when the proper selection is made. The value of having a presence at trade shows and meeting with both existing and potential customers face-to-face, can help take your brand to the next level. You can gain insights on potential customers and spread your brand’s message with one-on-one interactions and the use of promotional products. Continuing to build these relationships by maintaining a presence at trade shows is simplified when you put trade show bags to work. They will draw prospects into your booth during the event and continue to provide value for your brand long after the consumer has left the trade show floor. Below, we explore 7 statistics that exhibit the effectiveness of trade show bags. 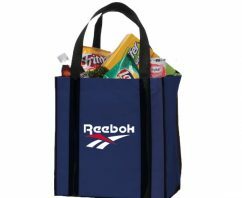 What sets grocery tote bags apart is that they are always capable of bringing more value to those who have invested in them. Promoting your brand with these products allows users to get their hands on a sustainable shopping option that simultaneously carries your branded message, but there are benefits that go even deeper than that. We will explore three of these benefits and detail how they apply to your customers and company alike. 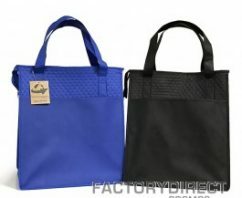 From promoting your brand to helping the planet, there are a lot of benefits of recycled bags. A common question is just what are these reusable bags from? We decided to take a closer look at recycled bags to get to the bottom of things and help you better understand how custom reusable bags can work for your brand. Plastic bag bans may be spreading throughout Florida as St. Petersburg officials decide to move forward with a ban. In a 3-1 vote St. Pete’s environmental committee voted in favor of drafting a ban. Many supporters cite environmental concern as reason enough to ban disposable plastic bags in favor of custom reusable bags. Others, including the Florida Retail Federation, are not sure a ban is the best course of action.